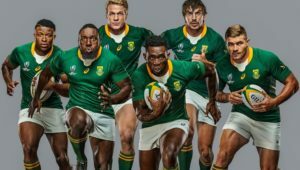 Springbok coach Rassie Erasmus needs to select a group of scrumhalves this June with the 2019 World Cup in mind, writes JON CARDINELLI. 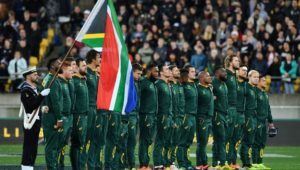 The first Springbok squad of the 2018 season – and indeed the first squad of Erasmus’ tenure – will be announced on Saturday evening after the Super Rugby match between the Stormers and Lions. 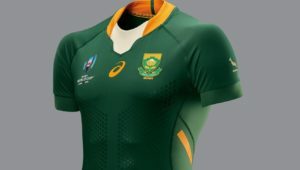 The Boks will play a weakened Wales side in Washington DC on 2 June, before facing England in Johannesburg seven days later. Will Erasmus select two different starting XVs over the course of those two weeks? It seems likely. Last month, at a media gathering at the Cape Town Airport, Erasmus made it clear that the Sharks players competing in the fixture against the Jaguares in Buenos Aires on 25 May, as well the South African players who are still contract-bound to turn out for their respective overseas clubs until 3 June, will not be considered for the season-opener against Wales. The announcement of the first squad of the season is bound to fuel the raging fire that is the Bok captaincy debate. That said, one wonders if the next few games will give us a concrete answer as far as the long-term skipper is concerned. Firstly, it seems likely that two different captains will be used in the first two weeks of the season. Secondly, one has to wonder whether Erasmus knows for certain, at this early stage, who should have the responsibility on a more permanent basis. Last week, Stormers coach Robbie Fleck said that Eben Etzebeth – who led the Boks in 11 out of 13 Tests in 2017 but hasn’t played at all this year due to a serious arm injury – is not yet fit and will not be considered for the next match against the Lions. This effectively eliminated Etzebeth as a Bok captaincy option in the short-term. Warren Whiteley was the official Bok skipper in 2017, leading the side in the first two games of the season before sustaining a serious groin injury. The No 8 made his comeback earlier this year, before a knee injury sidelined him ahead of the Lions’ tour to Australasia. Whiteley has not played a minute of rugby since. This could impact on the role – if any – that he plays for the Boks in the June Tests. Erasmus has spoken about favouring a younger skipper in that first Test against Wales. Handré Pollard (24) and Siya Kolisi (26) fit the description, although it would surprise to see Erasmus deploying players of such experience and importance against a depleted Wales instead of saving them for the first Test against England in Johannesburg. It’s going to be interesting to see how Erasmus manages his leadership group over those four weeks. Duane Vermeulen (Toulon) and Francois Louw (Bath) could also come into consideration for the captaincy ahead of the first Test against England. Last month, I listed two possible starting XVs for the fixtures in Washington and Johannesburg. I complied those lists with Erasmus’ comments about the Sharks’ game in Argentina, the availability of overseas players, and of course the identities of the players who had been invited to the preceding national alignment camps in mind. A lot has happened since then, though. Etzebeth and even Whiteley could fall short of their goal to return this June. 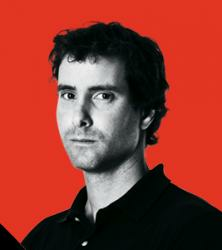 What’s more, Malcolm Marx – the 2017 SA Player of the Year – and first-choice No 5 Lood de Jager have sustained serious injuries while on Super Rugby duty. Marx may only be back for the Rugby Championship, while De Jager’s set for a six-month layoff. Suddenly the need to bring Adriaan Strauss out of international retirement, and to get Bismarck du Plessis back in the Bok squad, is more pressing. The Boks are well covered at lock – with Pieter-Steph du Toit, Franco Mostert and RG Snyman surely the favourites to feature in the match 23 during the England series – but may miss Etzebeth’s brand of physicality as well as De Jager’s ability to marshal the lineout. What hasn’t really changed since Erasmus last fronted the media is the scrumhalf situation. 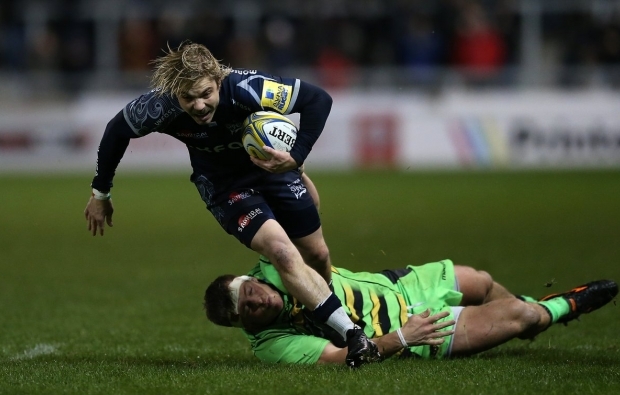 At the time, Erasmus admitted he was considering bringing Faf de Klerk (Sale Sharks) and Cobus Reinach (Northampton Saints) back from England. The Bok coach then rattled off a list of South Africa-based players who have the ability to make the step up. 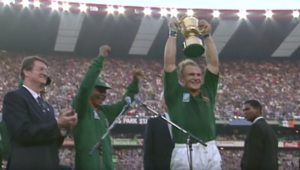 He did concede, however, that no player, from Ross Cronjé to De Klerk himself, had made the Bok No 9 jersey his own in the past two seasons. Has any one player made a strong case for the starting position in the ensuing weeks? Erasmus is right to highlight the potential of local players like Louis Schreuder, Ivan van Zyl, Embrose Papier, André Warner, Nic Groom and Cameron Wright. It would be a stretch to say, though, that any one of these players has dominated at Super Rugby level. That said, Erasmus needs to invest in three or four scrumhalves sooner rather than later. The 2019 World Cup is around the corner. Erasmus will want to head into that tournament with several No 9s that boast a decent level of Test experience. Unless Francois Hougaard and Rudy Paige are recalled, Erasmus’ Boks will travel to Japan without a scrumhalf that has featured at a previous World Cup tournament. At this stage, only De Klerk (11), Cronjé (10) and Reinach (10) have played more than a handful of Tests. Schreuder made his debut against Wales in the last game of the 2017 season. The Boks need to go to the World Cup with at least three quality flyhalf options. There’s a lot of debate at present about whether Pollard or Elton Jantjies should start, but it can only be good for the Boks if both travel to Japan next September. At this stage, we can’t say with any certainty which of the aforementioned scrumhalves will join the Boks at that 2019 tournament. Hopefully that will change over the next four Tests.